Gardening can be tricky even when you are graced with good soil, but what if you’re dealing with unpleasant growing conditions? Or does the very idea of endless weeding give you a backache? Starting a straw bale garden this spring may be the answer to all your gardening prayers. 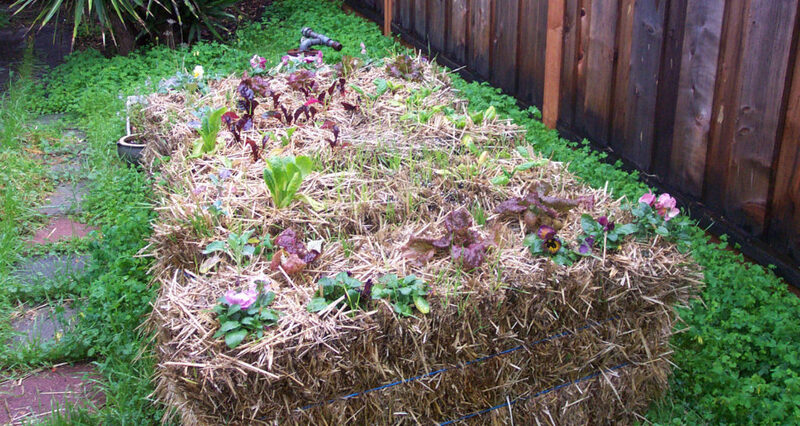 This method of gardening uses bales of straw as your garden beds — with no soil — and is a versatile, thrifty, and easy way to garden. Straw bale gardening is essentially a form of container gardening with the container being the bale of straw itself. Straw’s hollow tube design helps to soak up and hold moisture, making it an ideal material for growing vegetables. These mud-free and weed-free gardens can be started anywhere that gets six to eight hours per day of direct sunlight. Arrange as few or as many bales as you wish right on your lawn, or even in your driveway (maybe you will inspire a neighbor or two! ).